Sure, when we’re traveling, it’s great to visit the off-the-beaten-path, less crowded spots. In Japan, we stayed in AirBnBs that were in quiet residential neighbourhoods where we could see kids walking to school in the morning. We ate at a small ramen restaurant at the end of the block and did our laundry at the laundromat around the corner. That’s all very nice. But I absolutely want to see the landmarks of a city we’re visiting. I definitely want to take a tour if there is one – to learn about the history of a place. I’m all for heading to a crowded “tourist trap” because hey, there’s a reason the place is attracting tourists!! Even in Edmonton, I love being a “tourist” in my own city. It’s a good mentality to get into, to explore and learn about the things that make a place so great. So that was my approach this summer when Mike and I visited Toronto, Ontario for the very first time. 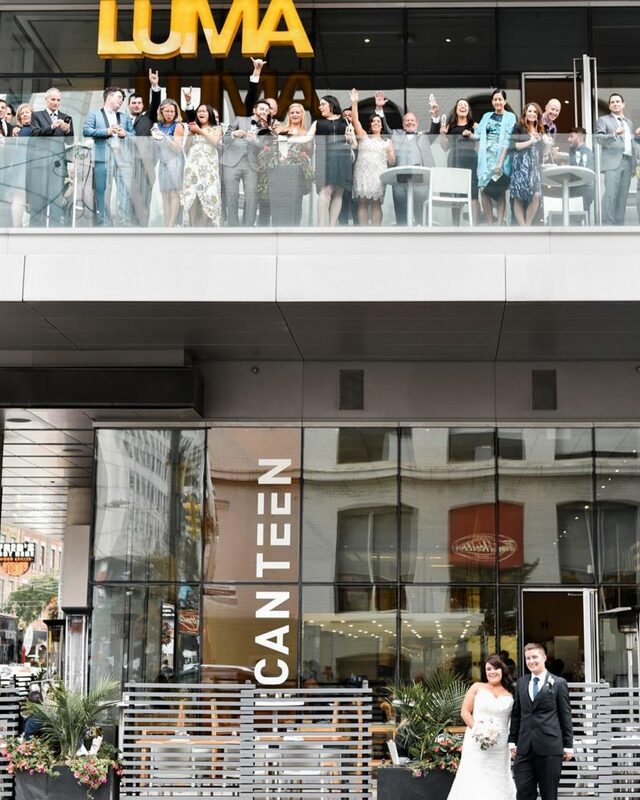 We were there to celebrate the marriage of our two great friends, but also there to eat eat eat (obviously – see my blog post of Where to Eat in Toronto!) and tourist hard. 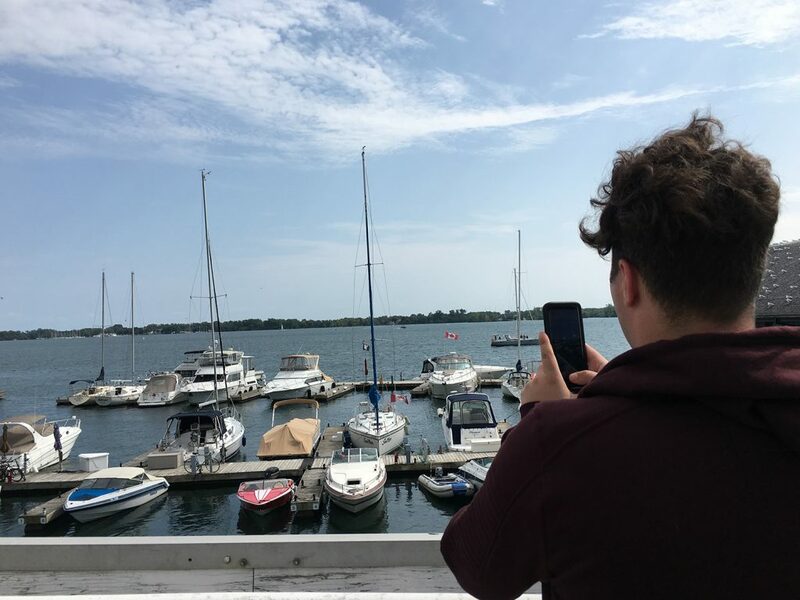 Below is a recap of What We Did in Toronto, that hopefully helps you decide What To Do in Toronto when you go! Mike and I were big fans of this beautiful, bustling, multicultural city, and we can’t wait to return! 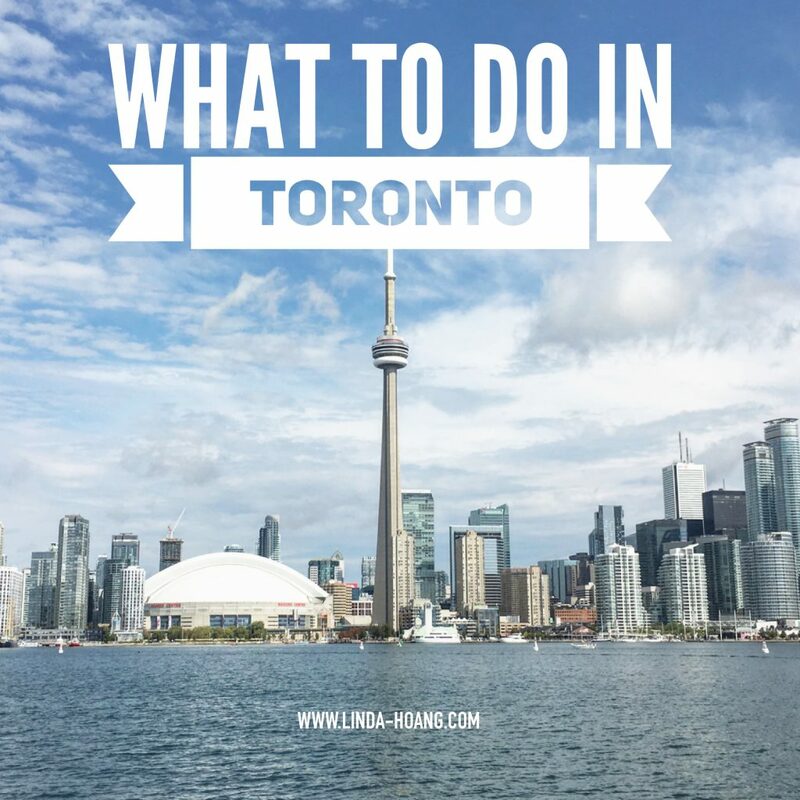 Pin + share my list of things to do in Toronto! Love the City Sightseeing Toronto bus tour! Taking the red double decker City Sightseeing Toronto tour bus was one of our favourite things we did during our trip. 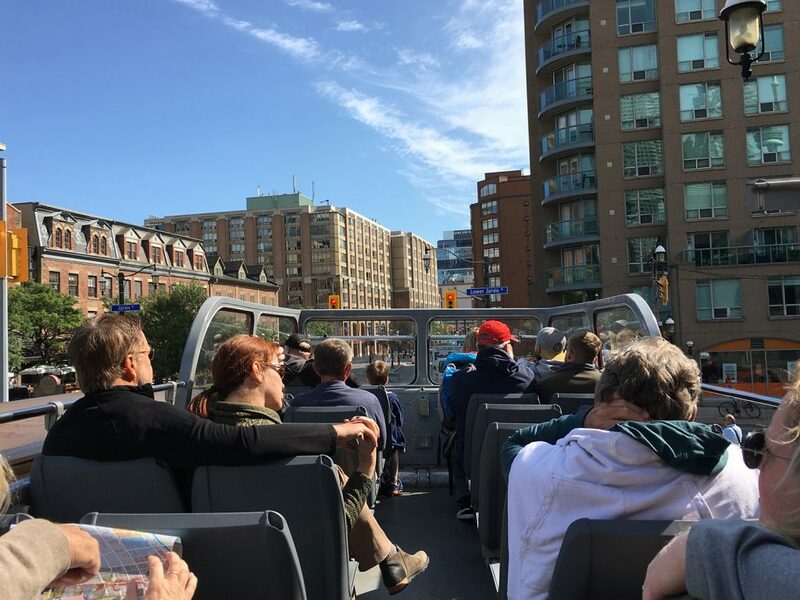 This hop-on, hop-off bus tour gives you access to the bus for 48 hours, and is a fantastic way to visit and learn about some of the city’s most popular and oldest neighbourhoods. With your ticket, you get access to 21 stops across the city, AND a free Harbour and Islands Boat Cruise. The buses go to all the key Toronto spots – the CN Tower, Yonge-Dundas Square, Kensington Market, the Entertainment District, and more. If you stay on for the whole trip, it’s about 2 hours long but if you decide to hop on and off, there’s usually another bus that comes by every 15 minutes, so if you want to stop at Kensington Market for a visit, you can continue your tour after because there’s always going to be a tour bus coming to pick you back up! You have to sit on the top of the double decker bus! My favourite part of this tour is the history that you learn from the tour guides. Mike and I only hopped on and off twice, but both the tour guides we got were really funny and shared some of the most interesting facts. For instance, through the City Sightseeing Toronto tour, I learned that the co-creator of Superman, Joe Shuster, was born in Toronto and actually wrote for the Toronto Daily Star! He’s said Toronto’s downtown/skyline gave him inspiration for Superman’s Metropolis. COOL right! We also learned that Yonge Street was the longest street in the world (until the Guinness Book of World Records stripped them of that title because Yonge actually turns into Ontario’s Highway 11 (and is therefore not called Yonge Street anymore) lol. We learned that film crews from the U.S. get some pretty great tax breaks if 51% of their film crew are Canadians (we already knew that the popular show Suits is filmed in Toronto so it was also cool driving down the streets where Suits typically shoots). And we learned about Toronto’s Lieutenant-Governor John Graves Simcoe, who renamed the city to York, but then the city got called ‘Little York and Dirty York’ because there was obviously a larger York at the time (New York) and Torontonians waited until many years after Simcoe died before changing the name back to Toronto (a very polite thing to do lol). 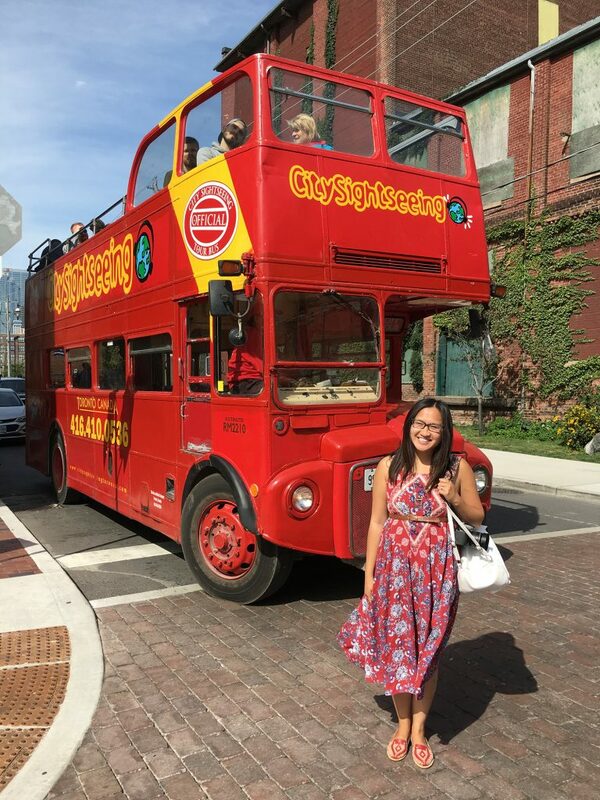 We really enjoyed the City Sightseeing Toronto tour and would highly recommend it from a tourist standpoint, from a seeing and learning a lot about the city in a short period of time standpoint, and also just from a transportation perspective. We walked a lot in Toronto, but were grateful to be able to use the bus as a means of transportation from time to time as well! These views brought to you by the Harbour Islands Boat Cruise. 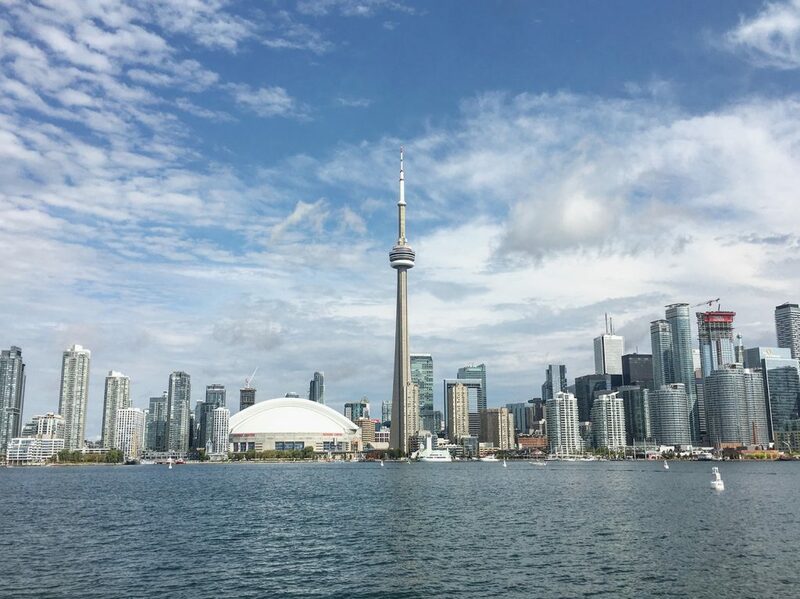 As part of the City Sightseeing Toronto tour, you also get free admission onto the Harbour and Islands Boat Cruise. The boat docks at Toronto’s Harbourfront Centre pier and makes it way through Toronto Inner Habrour and its 14 islands. The 45 minute tour provides some pretty awesome photo opportunities of the Toronto skyline. Similar to the bus tour, the boat tour guide also shares great information (with a great sense of humour)! You learn for instance that Hanlan’s Point Beach, one of the Toronto Island beaches, is clothing-optional. lol. We didn’t get a chance to visit any of the islands but I’ve also been told by a few Torontonians that doing a day trip out on the islands (renting a bike and hitting the beaches) is also a really wonderful thing to do in Toronto. Next time! Photos from the Amsterdam Bridge at Toronto’s Harbourfront. While you’re near the Harboufront, you have to check out all the activities around here! In the summer, the Harbourfront Centre hosts free live music shows. There’s a variety of vendors and the Amsterdam Bridge (named after Toronto’s sister city – Amsterdam, which we learned on our bus tour!) There’s also the Purina PawsWay at the Harbourfront, a great museum-like space with a pet-friendly cafe, Purina’s Pet Hall of Fame, and different pet activities throughout the day. Unfortunately the PawsWay closed this September 2017, but I imagine whatever they put in its place will still be worth a visit. 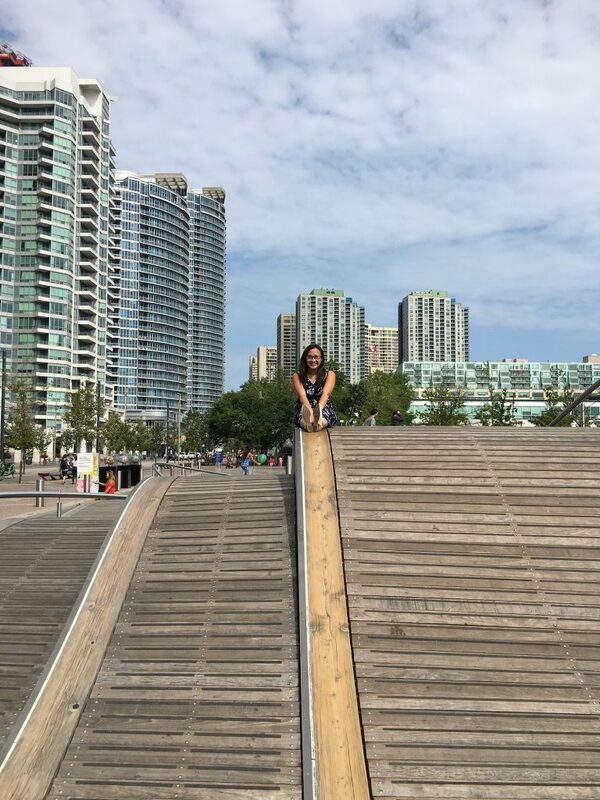 I was not really sure what this was but lots of people were sitting and sliding on it at the Harbourfront lol. Also at the Harboufront – this interesting art slash slide thing! Phenomenal burger at Gusto 101! I mean, I think even if you lived in Toronto it would be impossible to eat at ALL the Toronto restaurants but man – what a delightful mission that would be. On our visit to Toronto we ate a lot. I tried to squeeze in second lunches and third dinners and really that still wasn’t enough – there are so many incredible restaurants in this multicultural city, I can’t wait to come back and eat some more! 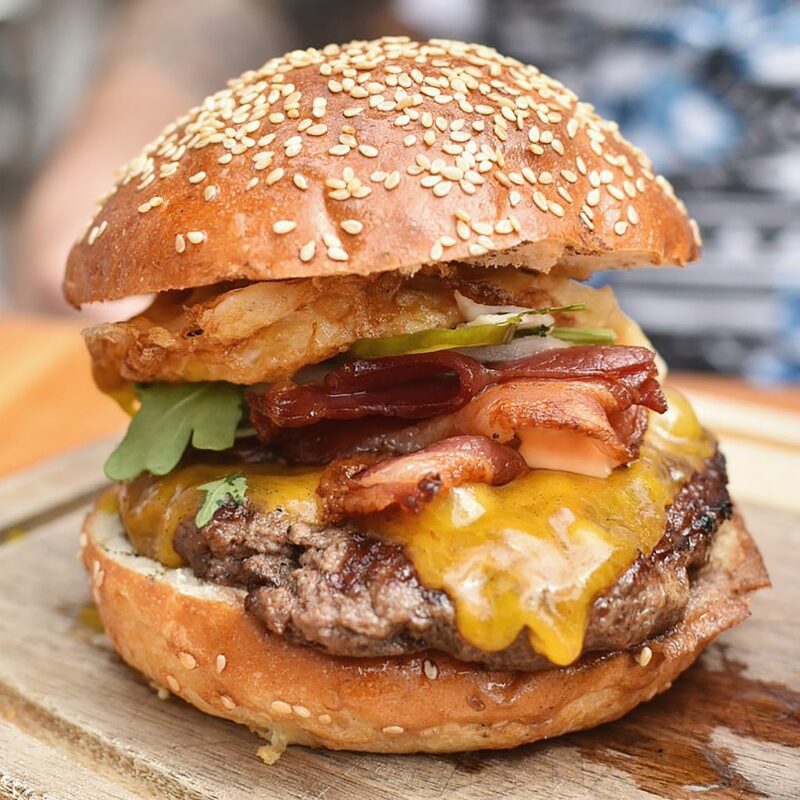 Check out my blog post recapping the 20 Places We Ate in Toronto and use that as your guide of where to eat. Still, we didn’t even make a dent. Terroni was my favourite, for incredible, homemade pasta. Asian-Caribbean at Patois was excellent. Lee Susur Lee is a must-visit (their cheeseburger spring rolls!) Something interesting we learned about Toronto is that there are a lot of Jamaican-inspired restaurants and cuisine, and a lot of restaurant bathrooms are located in the basement of buildings! (It’s a bit of a trek to get down to those bathrooms, lol). I now know I’d been seriously missing out – Toronto cuisine is just phenomenal and it just felt like every place had an amazing vibe. We loved it. 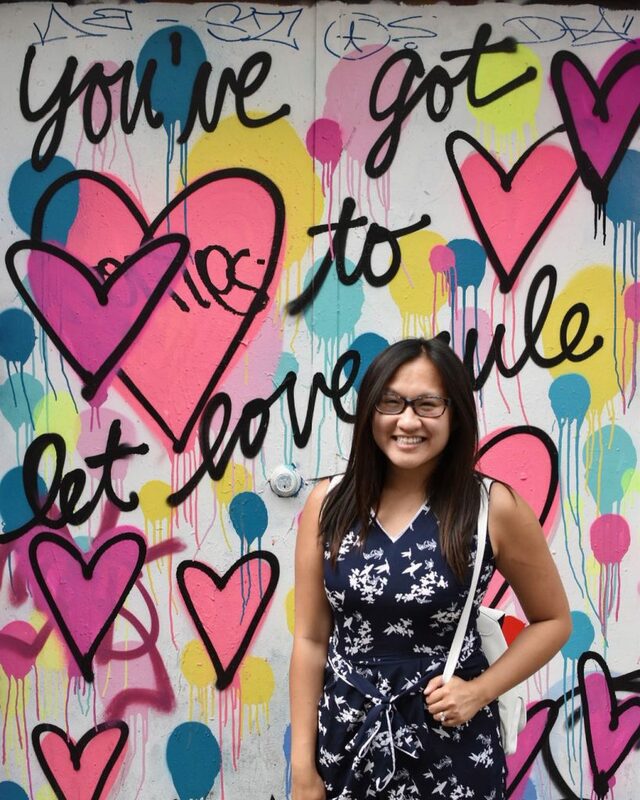 I l-l-l-ove t-t-t-oronto’s Graffiti Alley. 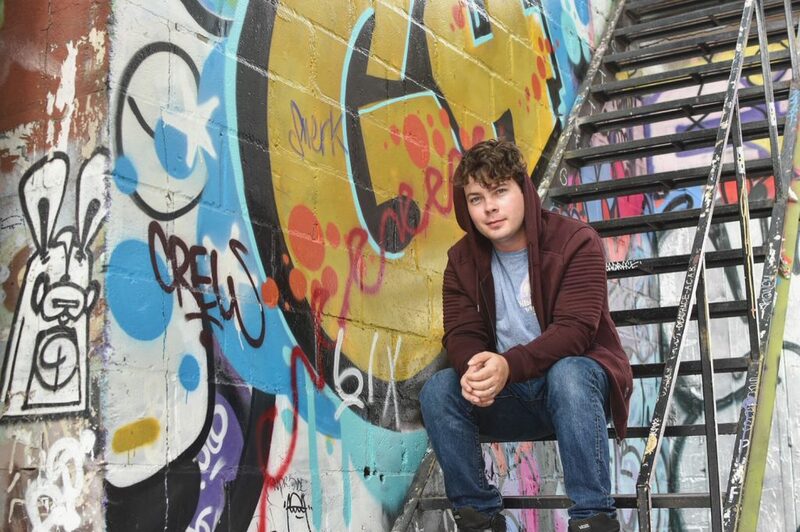 Mike posing for his album cover at Graffiti Alley! You’ve got to let love rule. Just one of the amazing murals at Graffiti Alley! 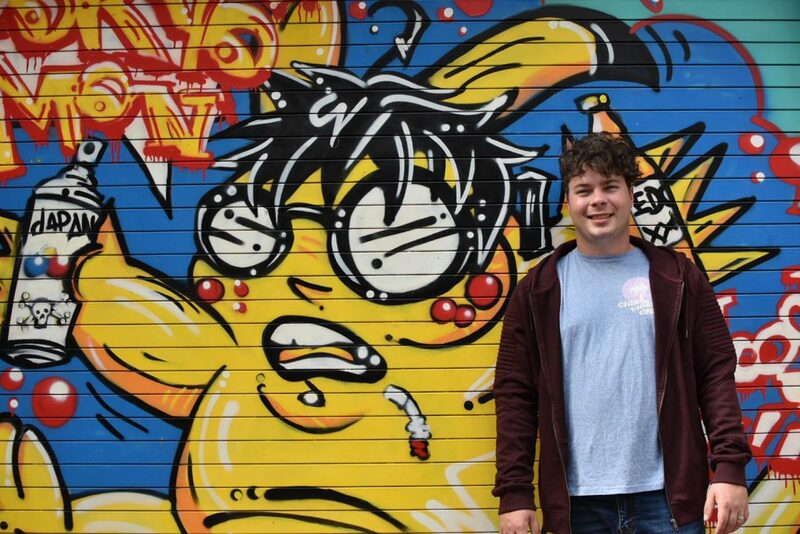 A funky Pikachu in Graffiti Alley. 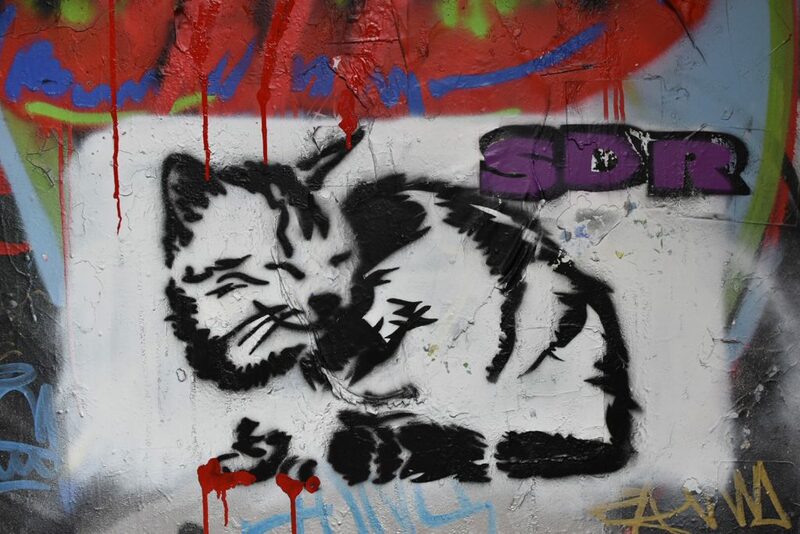 Graffiti Alley is a hot spot! The Fairmont Royal York was very conveniently located! 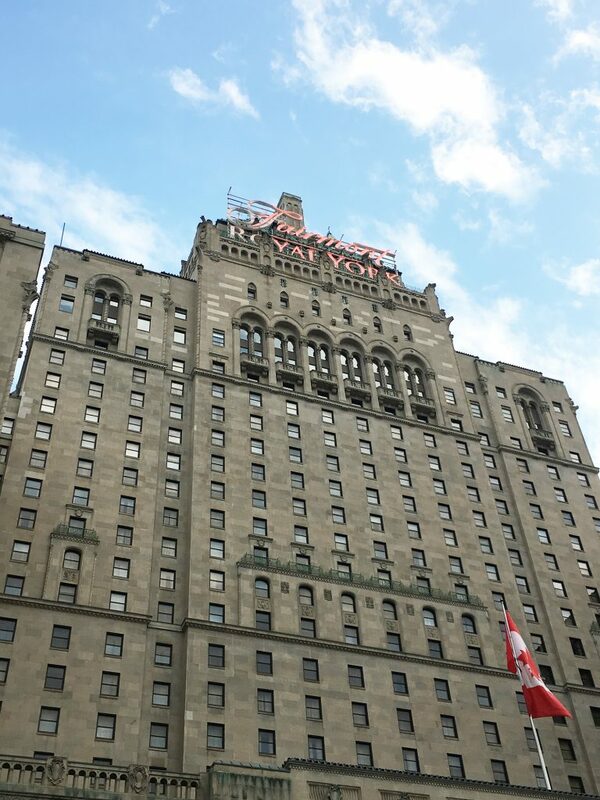 We stayed in two hotels during our Toronto trip – the first part of the trip we stayed at the Fairmont Royal York and the second part of the trip was at the boutique Templar Hotel. We had pretty good experiences at both hotels, but really the best part to both stays was their location and proximity to, well, so many things! We didn’t rent a car on this trip to Toronto because we chose hotels that were right in the middle of all the action. We were basically able to walk everywhere we wanted to go! Picking a hotel downtown, near King and Queen Street, John Street, Adelaide Street, Spadina Avenue, for example, was probably the best Toronto decision we made. Our feet were killing us during the trip (because we walked so much) but it was pretty phenomenal being able to walk out of our hotel room and walk 5 or 10 minutes down to a bustling neighbourhood full of things to see and do. The wonderful Terroni Italian restaurant is located on Queen Street! 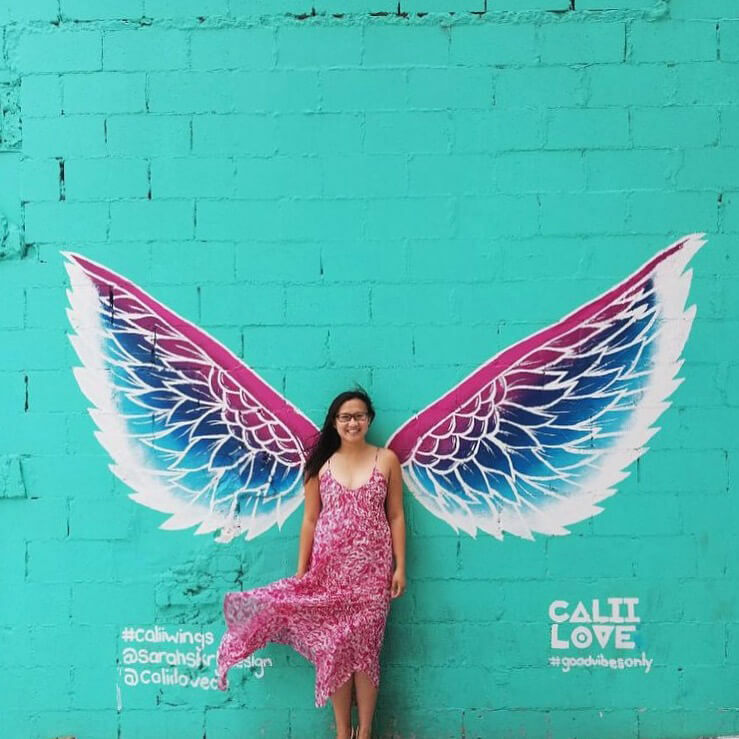 Stop at the wings at Calii Love King Street. 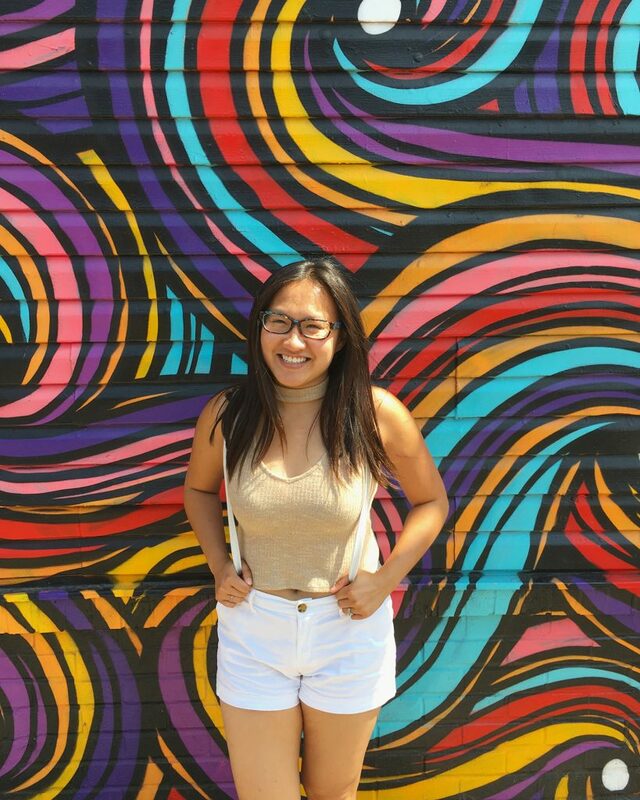 More Instagrammable Walls in Kensington/Chinatown! And the walking continues! We also enjoyed our walk down Toronto’s very large Chinatown and through the funky Kensington Market. I’ve actually heard other Toronto-area Chinatowns are better than Toronto’s actual Chinatown, but in terms of size and shops, we didn’t feel like it was lacking anything. 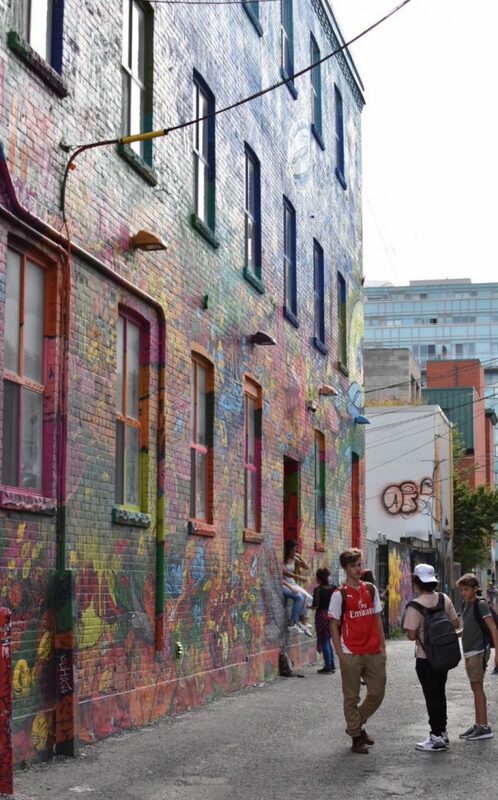 Kensington has a pretty eclectic vibe, and similar to King/Queen, is just another very walkable neighbourhood with a variety of shops and restaurants! At the Toronto sign in Nathan Phillips Square. If you’re touristing hard, you have to make a stop at the Toronto Sign located in Toronto’s Nathan Phillips Square. I don’t know if there’s anything more I can see about this than that, lol. It’s just a must-check-off-your-list, but depending on when you go, they do hold events at the Square, and there is also a Farmers Market at the Square too! 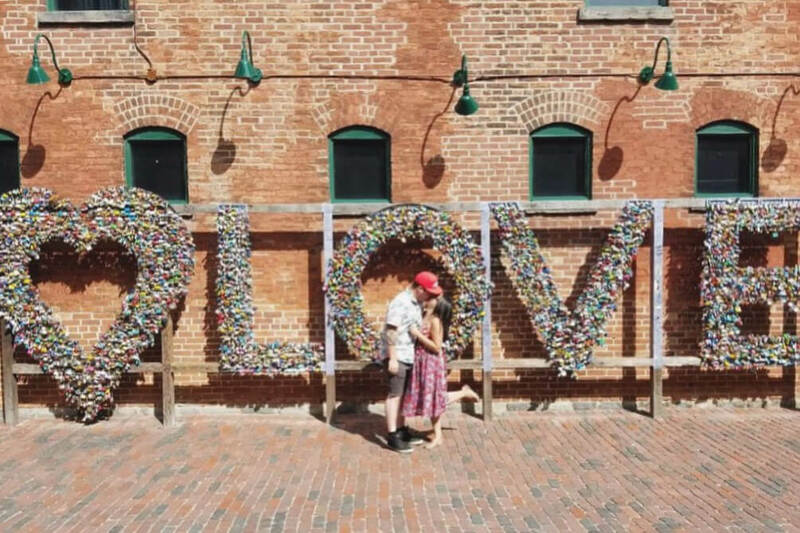 Obviously there is more to the Distillery District than the Love Locks but one of the main reasons I wanted to visit this area was to take a photo with this beautiful art installation. I guess love locks at other public spaces in Toronto had been hacked off so this one was erected sort of in response to that. It’s a really great art piece and I love the photo we got taken there. There’s also nice shops and restaurants to explore in this district, which contains a bunch of old heritage buildings and is actually a historic site (and at one point back in the 1860s, was home to the world’s largest distillery). It’s basically like we’re following comedian Drew Behm around the country. 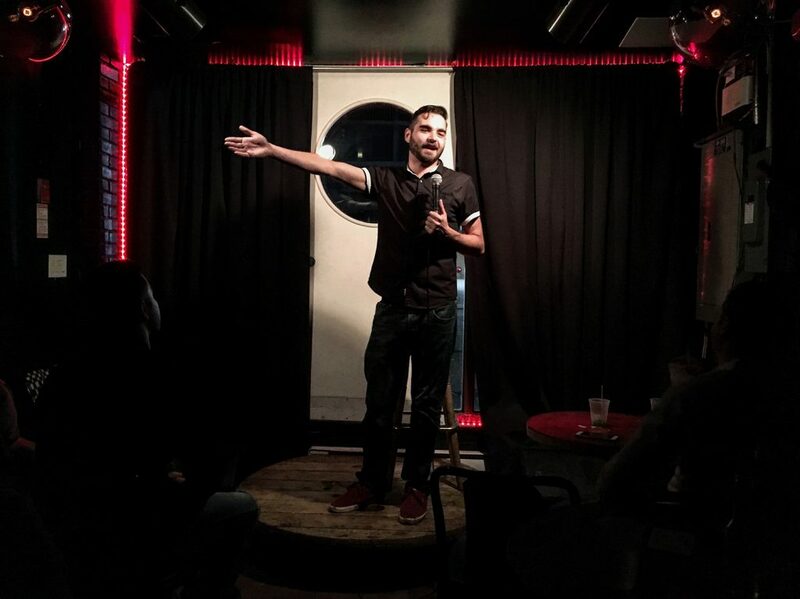 Mike and I love a good comedy show and it just so happened that our friend Drew Behm had moved to Toronto to do comedy out there (make it big!) so we were excited to be able to catch one of his shows at The Corner Comedy Club during our visit. This teeny, tiny club is so small, it’s funny (that’s actually the club’s tagline but it’s so true lol). As a rule of thumb, similar to how I’m always trying to find a Vietnamese restaurant to eat pho at no matter where we travel, catching a comedy show is also a good thing to do in a city you’ve never been in. Laughter is pretty universal. Mike, the groom Fred and his friends had lots of fun at this ping pong bar! There’s a lot of fun themed shops, bars and restaurants in Toronto. We wanted to get to The Lockhart (a Harry Potter themed bar) and Curiosa (a Harry Potter themed specialty shop) but we weren’t able to get to it. There was also a Tiki themed restaurant that was recommended to us (The Shameful Tiki Room) that we’d try on a return trip to Toronto. 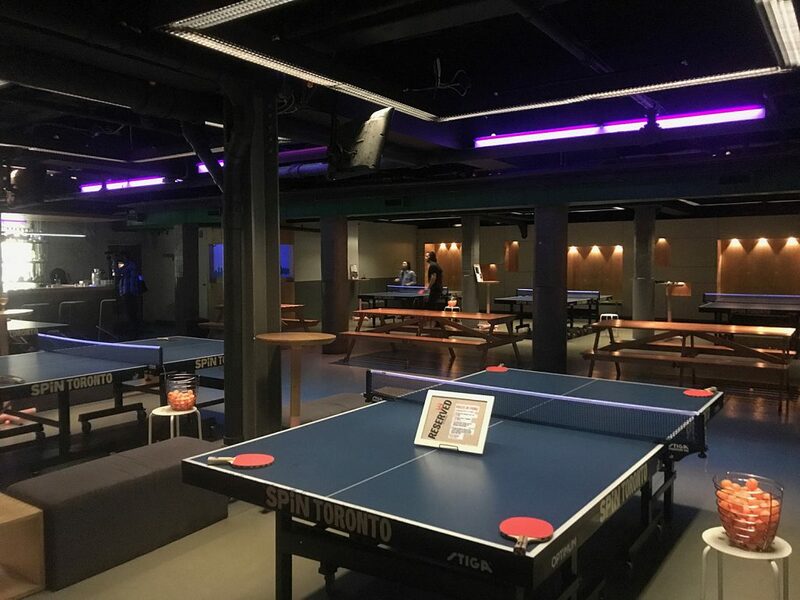 And Mike was able to check out Spin – a Ping Pong Bar and Medieval Times (a medieval-style dinner theatre) during the bachelor party and thought both were loads of fun! 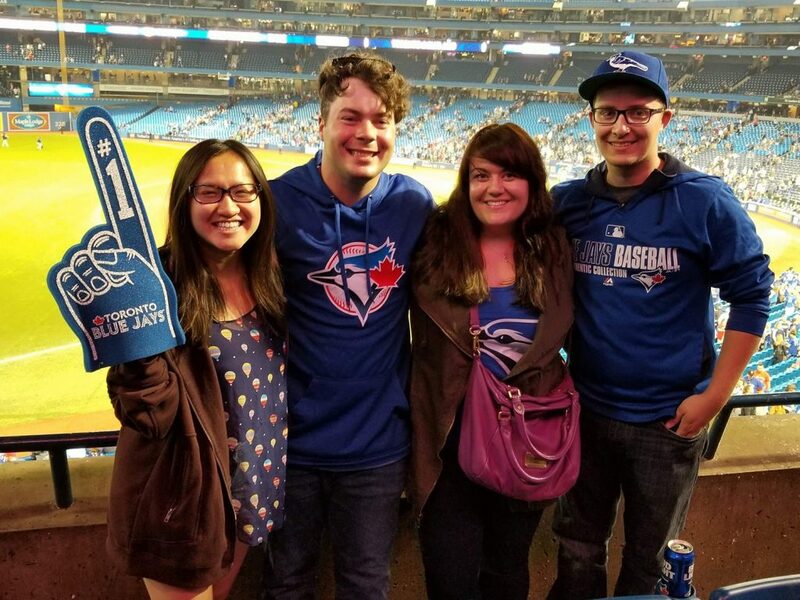 We were pretty excited to check out our first Major League Baseball game ever – watching the Toronto Blue Jays versus the Boston Red Sox during our trip to Toronto. 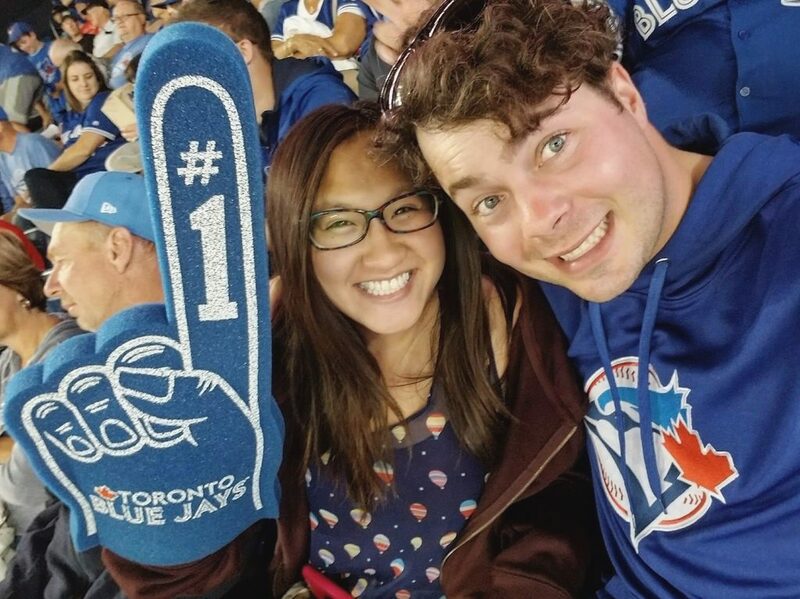 Although the Blue Jays lost, I did have fun with my super touristy Blue Jays foam finger and it was neat to see the dome open up throughout the game! 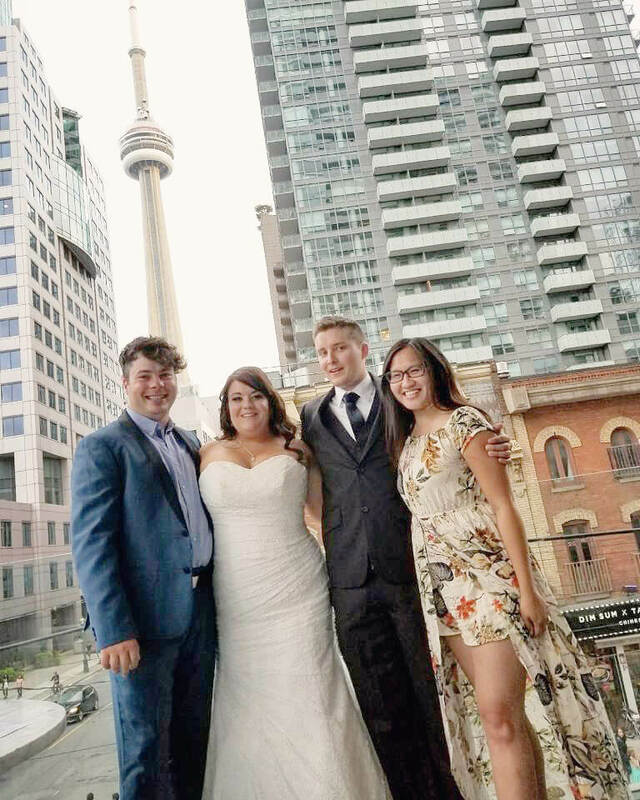 We got a pretty sweet view of the CN Tower and the groom’s brother also rented a Field Room at the Renaissance Hotel Toronto (which is part of Rogers Centre) so we got to look out onto the field during their warm-up before the game started, right from the comfort of his hotel room! Happy we got to experience this with Fred and Cat! The bride and groom we were celebrating are huge Blue Jays/baseball fans so this was obviously a must-do with them and I’m so glad we did! These are the ‘views’ Drake talks about! What’s more touristy than going up a really tall tower and looking out onto the city below you? We seem to do this almost everywhere we travel and it’s worth the views every time. 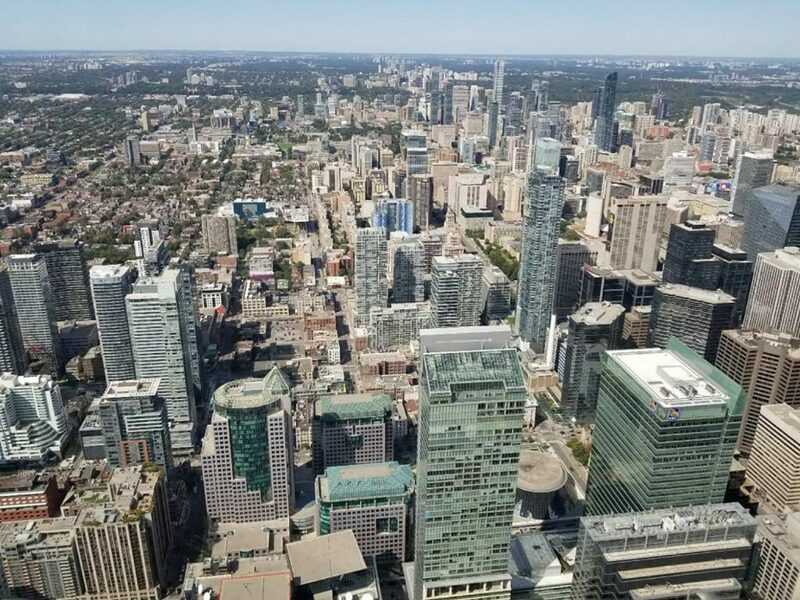 In Toronto, we took a 58-second glass elevator up 1,136 feet (346 metres) to the CN Tower’s LookOut Level, to look out over beautiful Toronto.We also We also stopped on the Glass Floor and checked out the Outdoor SkyTerrace (it’s pretty windy up there/out there!) I couldn’t convince Mike to do the EdgeWalk with me (that’s the attraction where you walk and lean out on the edge of the tower, eep!!!) but maybe that’s something we can try on our return visit. Pretty sweet castle in Toronto! Ever want to live in a castle? Or visit one in Canada? Toronto’s Castle – Casa Loma – was once home to Sir Henry Pellatt and Lady Mary Pellatt. Casa Loma took three years and $3.5 million to build from 1911 to 1914. It’s a Gothic Revival style castle with huge gardens and is now a museum and also popular filming location! In the basement of Casa Loma they highlight all sorts of movies that have been filmed in Casa Loma’s rooms. There was a wedding going on when we visited, and they were setting up for a Halloween event in the tunnels beneath the castle (which you can also tour). 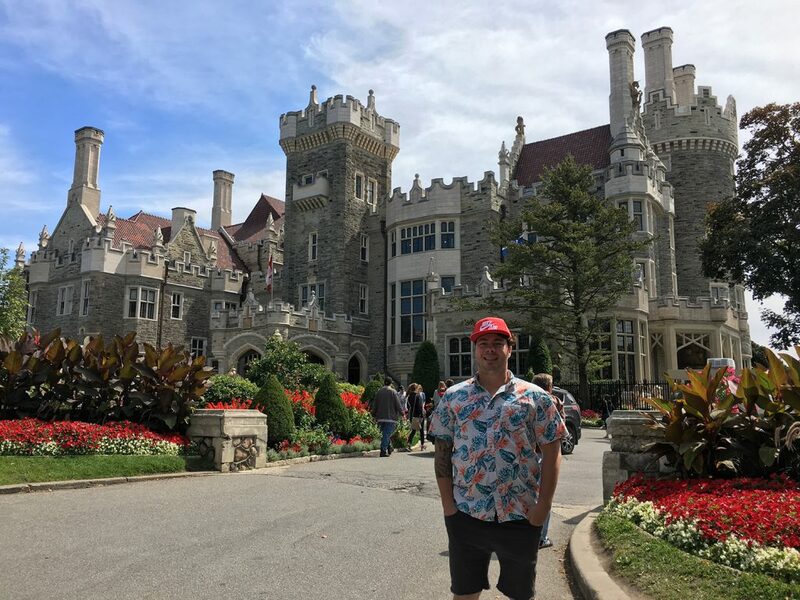 It’s pretty cool and is a stop on the City Sightseeing tour so if you’re into history, old buildings, and creepy (but cool) castles (and not planning a trip to Europe anytime soon to see their castles) then you should visit Casa Loma! We loved Secret City Adventures Escape Room! 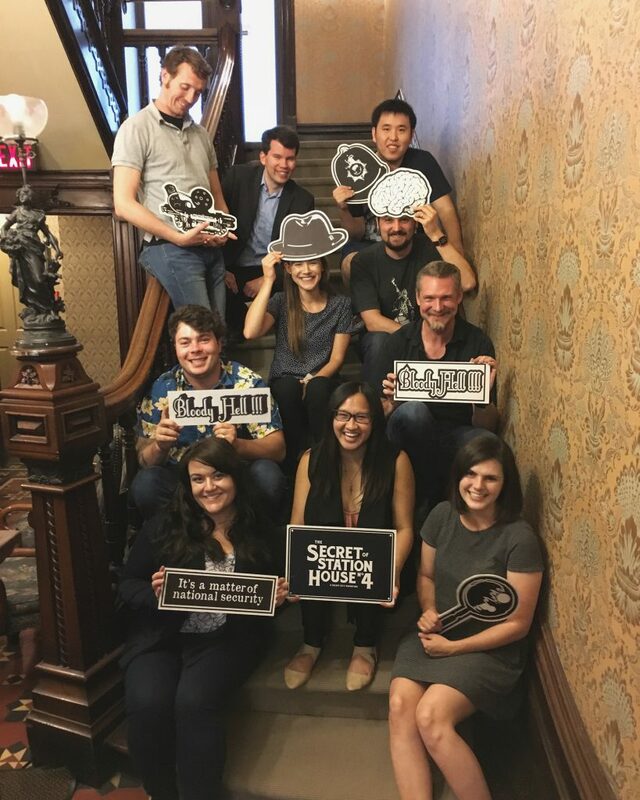 As escape room buffs here in Edmonton, we were really excited to try a room in Toronto. The company Secret City Adventures came highly recommended (thanks @britl!) and are known for their live actors and immersive storytelling. We tried to escape from The Secret of Station House No. 4 and were maybe a minute or two away from solving the room (but alas, we failed). We were put in the room with strangers but the group was really good and it was really fun despite not quite solving it! Sometimes I think escape rooms with live actors can be really hit or miss (but mostly miss) but in this case, it was a huge hit. I highly recommend a Secret City Adventures escape room if you’re into escape rooms! 16. 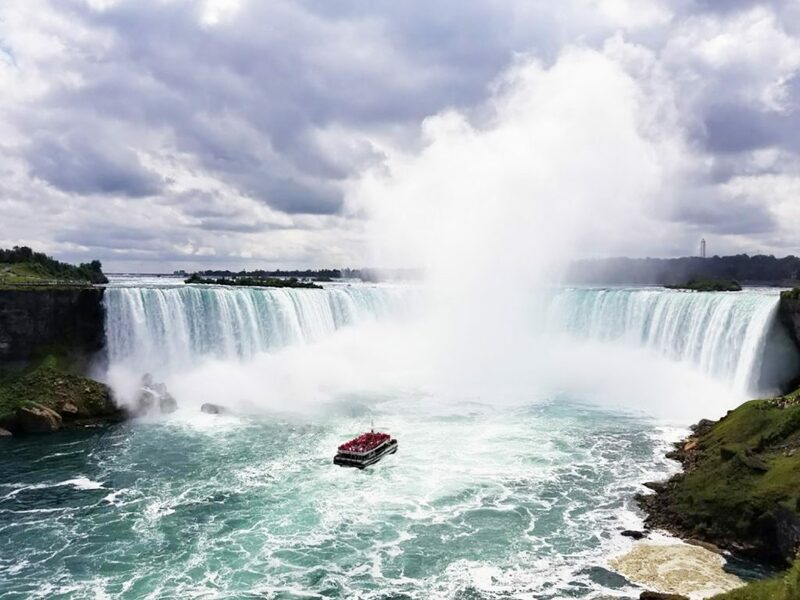 Take the Niagara Falls Hornblower Cruise + Journey Behind The Falls! Loved going “In the Mist” with Hornblower Cruises at Niagara Falls! 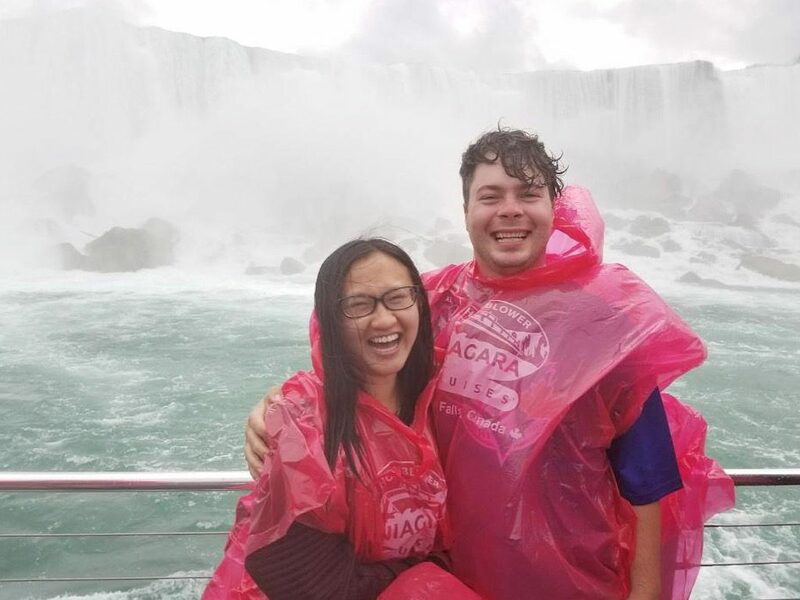 We were able to squeeze in a quick day trip to Niagara Falls during our Toronto visit and had such an amazing time, we hope to come back again and spend more time in Niagara and visit Niagara-On-The-Lake (which we’ve heard is like the Kelowna of Ontario). 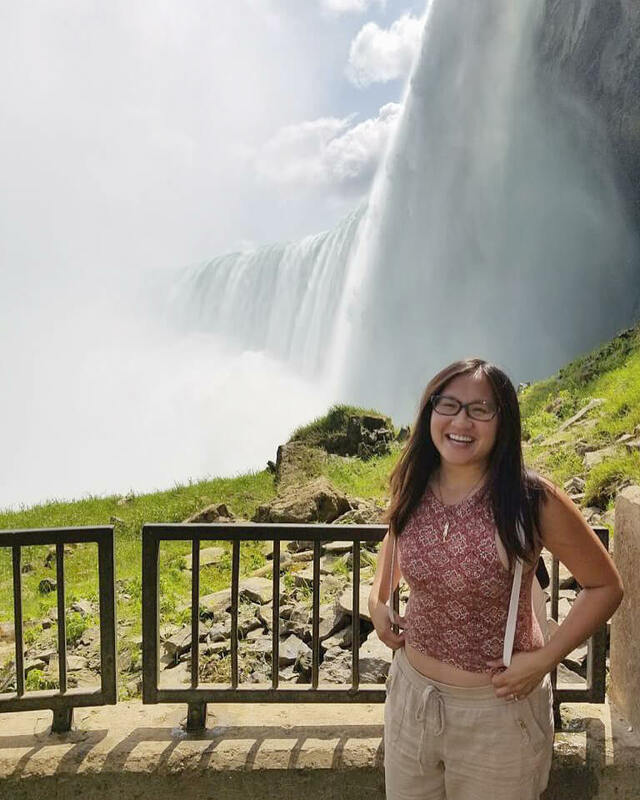 In Niagara Falls, we took the Voyage to the Falls Boat Tour , which is a 20-minute ride that let us get up close and personal to the American Falls, Bridal Veil Falls, and the mighty Canadian Horseshoe Falls (which is the best of the Niagara Falls!) 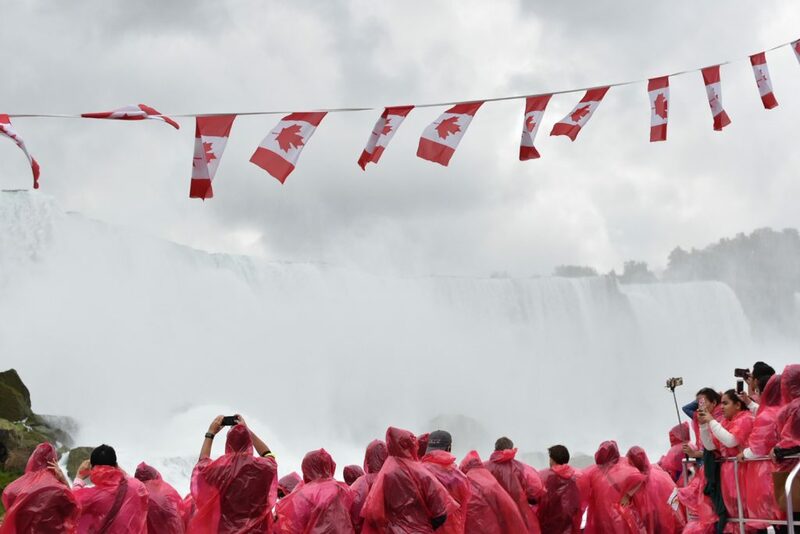 It was a full ‘Mist Experience’ (we got pretty wet right up under the Horseshoe Falls!) and had so much fun. It was really cool going ‘Behind’ and ‘Next to’ Niagara Falls! Then after we were done, we walked down the main Niagara Falls strip (kind of like a more peaceful Las Vegas strip lol), got a bunch of photos and different angles of the falls, and then took in a ‘Journey Behind the Falls‘ Niagara Parks experience where we got to walk in the tunnels behind the Horseshoe Falls. It was amazing how close we were to the falls. These water falls are truly incredible to see in person, and I couldn’t believe that it’s not a Natural Wonder of the World because seriously – it’s amazing. It’s a must see! BONUS THING TO DO! Watch your friends get married! If you’re fortunate enough to watch your friends get married in this wonderful city, do it!!! My hot date in downtown Toronto. 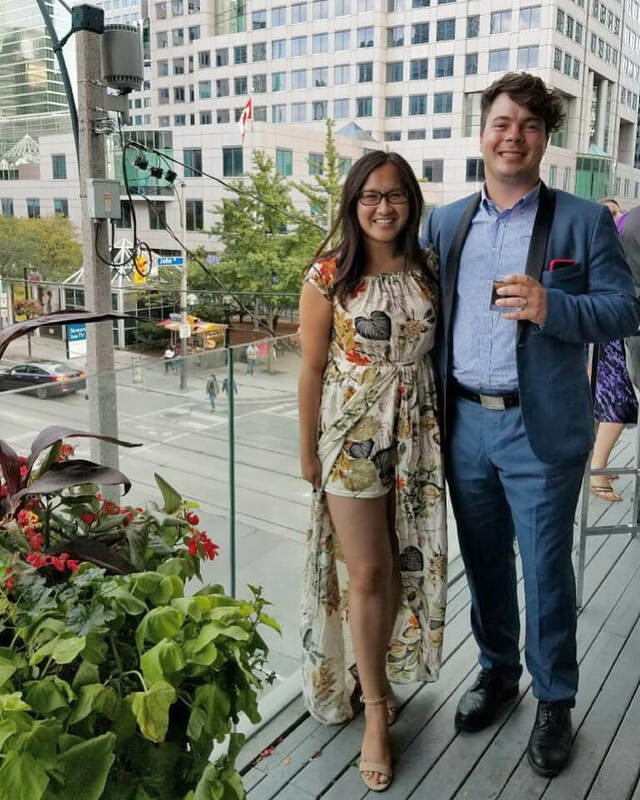 Safe to say, Mike and I did a lot during our 6-day trip to Toronto and there’s still so many more things we wanted to do and have to return to Toronto to see (and eat!) We had so much fun and heard from a lot of our friends that they were looking forward to their trips to Toronto because of everything they saw we did. Feel free to copy our itinerary! 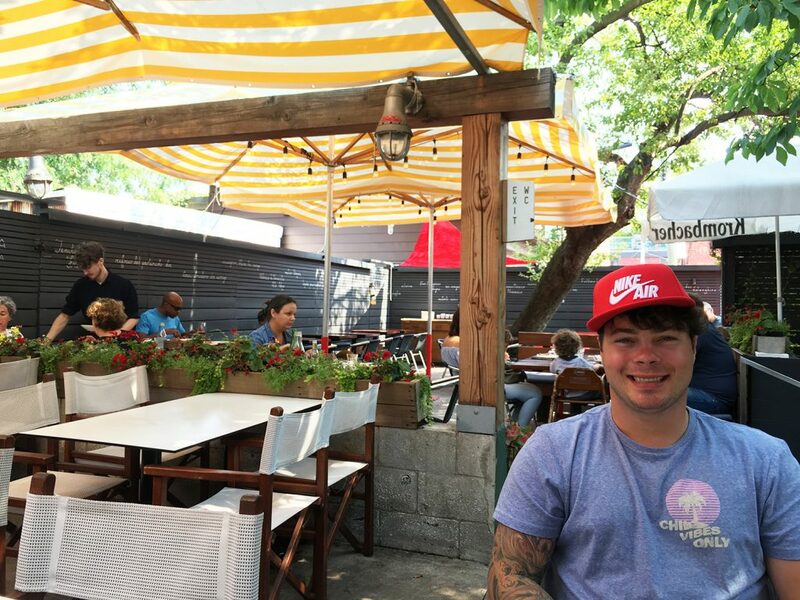 And make sure you check out Where We Ate in Toronto! 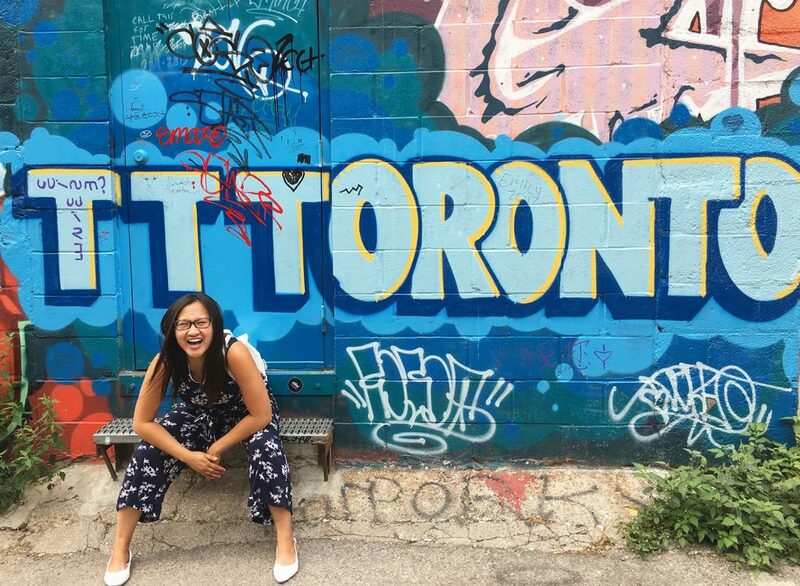 So what do you love to do in Toronto that we missed?! Tweet / Facebook / Instagram me or leave a comment below! Disclaimer: I will always provide my 100% honest opinion on this blog. Some of the Toronto attractions we took part in were provided to us complimentary as media guests. This does not impact the opinions stated in this post.